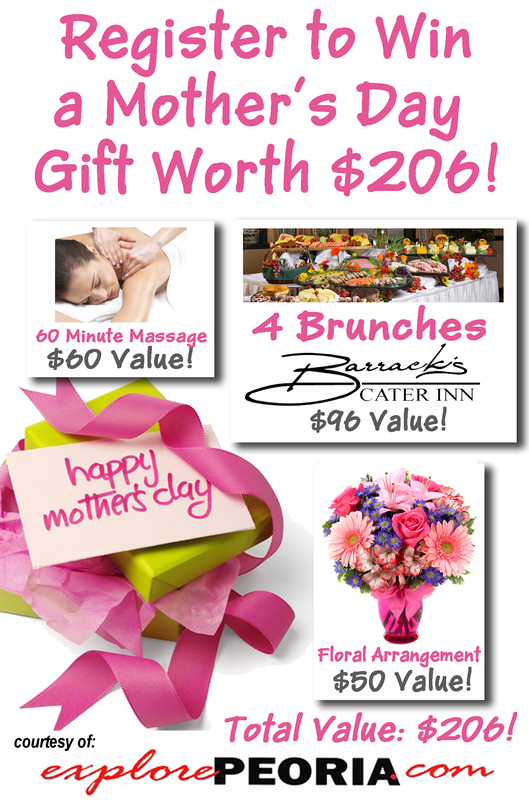 Win Our Mother's Day Gift Contest! Please LIKE us on Facebook below! The registration period for this contest has now ended. 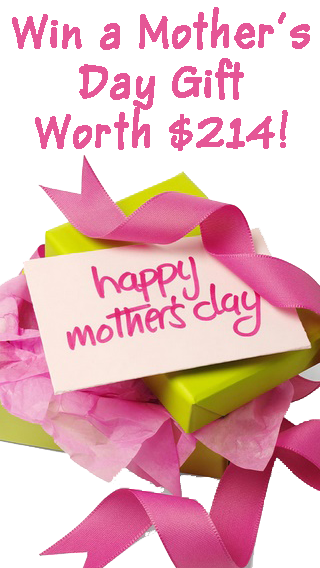 Please register for our other great contests! 1) One entry per person (not email address). Entrants must 18 years old or older to enter. 2) By registering for the contest, you will begin to receive the ExplorePeoria.com weekly e-newsletter featuring events & entertainment happening in the Peoria area for the upcoming weekend and the Peoria-Deals.com e-Newsletter featuring discounts & coupons from Peoria area businesses. You may unsubscribe at any time, however if you do unsubscribe to either e-Newsletter prior to the winner being selected for this contest, you will void your entry. You will also begin to receive texts from Peoria.Deals with weekly coupons as well as exclusive offers from Peoria area businesses. You can opt out of these at any time AFTER the contest. If you do so prior to the end of the contest registration period, you will void your entry. 3) There is no purchase required to enter. 4) There is no cash value to the prize. The prize may not be exchanged or sold. 5) The main winner will be selected at random from all active registrants (those who have not unsubscribed) at the conclusion of the registration period. The referral winner will be whoever has referred the highest number of friends & family to register who have listed their name in the proper field of the form. If there is a tie among referrers, a random drawing will take place to choose the 2nd full prize winner from the referrers. 6) Employees/Members of ExplorePeoria.com and Barrack's Cater Inn and their families are not eligible to enter. 7) Registration will end at Midnight on Tuesday, May 8, 2018. The winner will be informed via email and/or telephone. 8) Winners of previous ExplorePeoria.com contests 12 months prior to the beginning of the contest are not eligible to win.